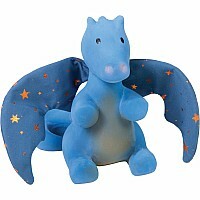 Cute and snugly, this happy dragon is the perfect best friend for your little teething baby. 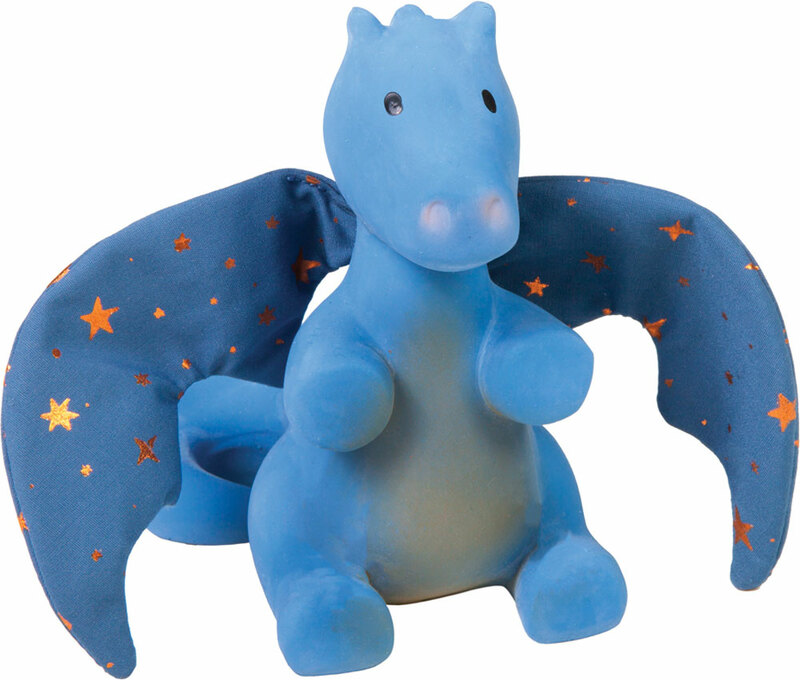 Made from all-natural rubber and soy-based inks, this dragon is always ready for a hug as a great traveling buddy for your baby. His crinkle wings give auditory stimulation for your baby and are made of soft star fabric. Recommended ages birth to 3 years. Measures approximately: 6.30 x 5.10 x 8.70 inches..